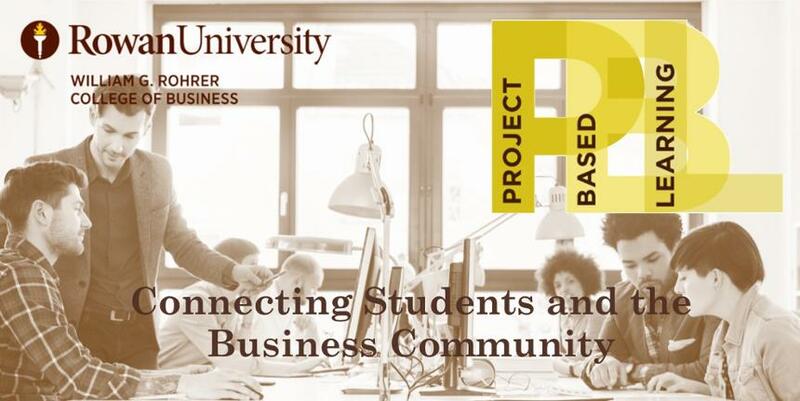 Project-Based Learning (PBL) is an academic/business partnership offered at the Rohrer College of Business at Rowan University. The goal of this very successful program is to bring real-world projects into the classroom, and, bring the classroom to the real world. PBL provides students with real-world projects, provides the entrepreneur with a resource to help grow their business, all the while adding to our regional economy...one of Rowan University's Pillars of Success. Project examples include (but are not limited to) business plans, market/industry research, social media plans, human resource employee manuals, marketing plans to name a few. Ready to grow your business? Click on the Apply Now button to apply to the Rohrer College of Business Project Based Learning program. As part of a course, students participate in teams of 4 or 5 and work with the client throughout the semester while being mentored by the faculty member and consultants assigned to that course. In an effort to protect you, the business owner, we require our students to complete the Rowan Code of Ethics and Confidentiality Agreement before they begin working on your project.